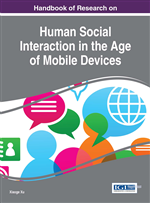 This chapter aims to critically review previous studies on the gratification effects mobile gaming provides in a variety of aspects including play experience, education and social networking. Previous studies reveal that mobile gaming gratifies a new play experience in casual, flexible and ubiquitous nature. Additionally, mobile gaming generates widely accepted gratifications in technology-based education, improving learning and teaching performance in education in general and specific courses. Meanwhile, mobile gaming demonstrates great gratification effect in quality, ability and physical training. Furthermore, scholars have widely researched on the gratification effect of mobile gaming to promote social networking with the applications of socially interactive technologies. Finally, this chapter delivers a forecast about the future development of mobile gaming into HR recruitment and management. Nowadays we have entered the era of mobile phone with billions of mobile phone owners use the device not only as an extension of line telephone to reach and contact each other but also as enhanced multi-media platform for social-networking, internet use, photo shoot, music, video and content-sharing along with other numerous functions. One of the striking differences between mobile phone and traditional line telephone installed at home or in office is that the former provides amazing experience of game play that could only be achieved with game consoles and personal computers in the past. This function, along with other functions that promote social networking, application usage as well as entertainment defines mobile phone’s role as a portable integrated multi-functional device in the size of a hand that has brought new ideas and revolution to a variety of fields ranging from ultrathin laptop, portable tablet, cross-platform porting and cloud technology. The past decade or so has witnessed a boom in the mobile gaming industry. Started from the 1997 Snake game on Nokia 6110 and revolutionized by the first generation of Apple phone—a new standard for smart phone for the time in 2007 (Tercek, 2007), mobile gaming now has developed into one of the most widely spread and commonly seen entertainments of our time with incredible industrial revenue. In an overall prosperity of all kinds of mobile applications, game applications accounted for 90% of the 2014 TOP 10 grossing applications on Applestore (Leonov, 2014). In 2014, mobile gaming revenue reached 21.1 billion dollars worldwide with extremely remarkable performance in North America and Asia (Superdata, retrieved January 22, 2015). SNL Kagan’s report in 2014 reveals that a new record of $5.23 billion was contributed by the mobile games segment in America that year. However, behind the recording-break performance of US mobile gaming industry there lies a shrink in the yearly growth of and percentage account of the segment in the overall mobile entertainment market. Compared to a surprising increase of 93% in 2013, the year 2014 only witnessed a rise of 27% in US mobile gaming, while the percentage account decreased from 63% in 2013 to 57% of the $9.14 billion profit obtained by the total mobile entertainment market revenue in America (Sinclair, 2015). In Asia, China, Japan and South Korea are the three countries whose market figures contributed the most to both regional growth of mobile gaming in Asia (a global share of 45%) and that in the world (82% of worldly growth) in 2014 (Newzoo, retrieved April 22, 2015). The total revenue achieved in the region’s mobile gaming industry is $12.2 billion, but monthly spending on mobile games is the lowest of $4.17 per capita compared to $4.95 spent by Western European players and $6.21 by North American players (Statista, retrieved April 22, 2015).